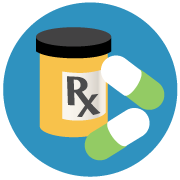 Find out if your medication is covered through the Ontario Drug Benefit program. Search for a medication by name, ingredient or DIN. Learn more about ODB eligibility. Learn more about EAP and how to be considered for coverage. This website is a search tool only and is not the official Ontario Drug Benefit Formulary/Comparative Drug Index (Formulary). Ontario covers the cost of certain drug products not listed on the Formulary for persons who qualify. If there is a discrepancy between the information provided through this search tool and the information in the Formulary or an Ontario government policy, the Formulary/policy prevails. You’ve got health care options nearby, get to know them better. Find a service.